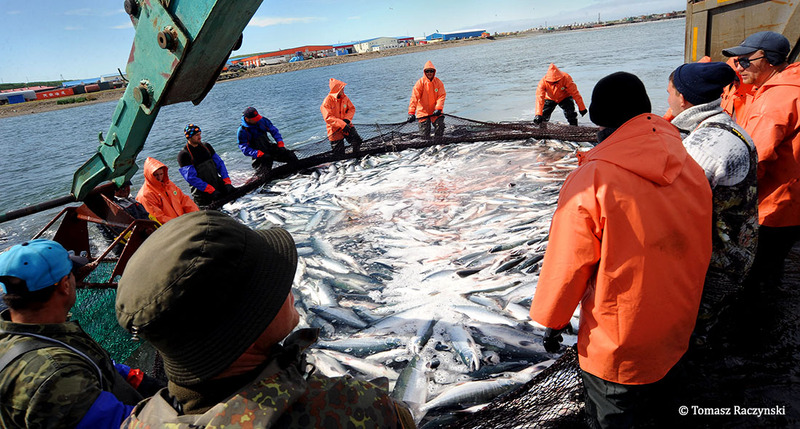 Several West Kamchatka salmon fisheries moved one step closer to full Marine Stewardship Council (MSC) certification this week, as the independent scientific consultancy, MRAG Americas, released their draft certification report for public comment. The Ocean Outcomes team started working on the ground with these fisheries in West Kamchatka in 2008. We’ve seen fishermen in these areas do the hard work it takes to improve the fisheries, and we’re excited to see them enter this next step toward certification. As a result of extensive improvement efforts by Russian fishery companies, Vityaz-Avto Ltd. and Delta Ltd., the fisheries now meet the core sustainability requirements of the MSC. The assessment team recommended full MSC certification with seven conditions for continued improvement in fisheries management. Stakeholders have until August 5th to provide public comment on the report, and we expect to see a final decision by MRAG and the MSC in September. The certification report evaluates pink, chum, and coho salmon fisheries in the Russian peninsula of Kamchatka, home to some of the world’s most prolific wild salmon runs. The region’s fishermen produce the world’s second largest haul of wild salmon after Alaska, and fisheries studied in this assessment can bring in 28,000 MT of salmon in a season. The report is the culmination of more than 18 months of fishery research, recommendations for improved management, and assessment of pink, chum, and coho salmon fisheries in Kamchatka. Researchers found that after significant efforts to monitor salmon populations, curb illegal fishing, and reduce incidental catch of other species, the fishery now scores over 80 on all MSC core principles and is improving in several sustainability performance indicators. Their recommendation to certify comes with seven conditions that call for continued monitoring and further improvements in traceability of catch and fishery management. "Sustainability is a growing worldwide phenomenon and we want to lead the way in Russia,” Andrei Bokov, Chief Technologist for Vityaz-Avto and Delta told us. “Our companies expect MSC certification will open up new market opportunities for us and help us bring in higher value for our seafood products." Vityaz-Avto and Delta have already seen market improvements for their Ozernaya Sockeye fishery, which gained MSC certification in 2012. They export this MSC-certified sockeye salmon to the United States, Europe, and Asia, and it garners over $15/lb for filets in U.S. grocery stores. MSC certification is a critical step for their coho, pink, and chum salmon fisheries to improve their position in international markets. The full draft certification report and guidelines for comments can be found on the MSC website. Look for more news on West Kamchatka salmon certification as MRAG Americas responds to comments and makes a final certification recommendation this fall.